The southern tip of Vancouver Island is one of the very best places to live. It has a distinct style and feel. Clarkston Construction is a multi-generational West cost builder dedicated to building homes that reflect the evolving needs of our homeowners and communities. We provide a custom home building experience that focuses on capturing this west coast style and creating something unique for each and every client. 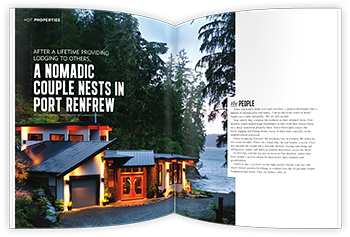 Based in Sooke, BC, we specialize in custom west coast homes from Metchosin to Port Renfrew. We have a broad discerning client base, including locals, friends and people relocating from afar. We strive to create homes that balance long lasting quality, reasonable cost structure, and a certain artistic local flare. By continually implementing innovative, sustainable design and enviromental stewardship in our construction techniques our homes stand for their livability, quality construction, and their beauty! Our work consists mainly of custom builds, additions, and developments, ranging in scope from the modest cabin to fine detailed homes designed by world class architects. Most of our projects take place in idyllic rural settings. The ability to connect artistically between home and land is paramount for our clients. 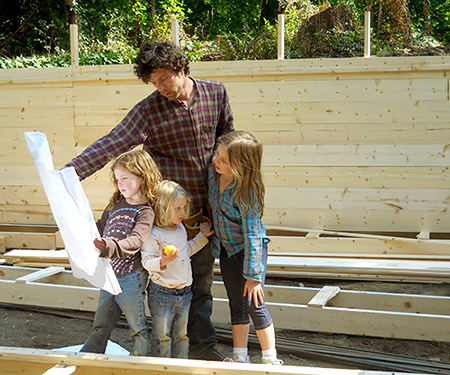 The care taken in each and every home increases with each project. Our tight-knit local team has worked together for many years, and takes great pride in the myriad or great projects to date. Company owner, Paul Clarkston, dedicates strong attention to architectural detail, well designed spaces, and long lasting quality materials – which makes for great houses! Proof of this theory is evident in having built successfully over 60 custom homes. With each home more is learned, new products filter in and better methods get discovered, challenges get a bit easier and perhaps it’s all more fun! Clarkston Construction is a registered residential builder with the Homeowner Protection Office, and is a member in good standing with Travelers Guarantee Company of Canada - the leading provider of new home warranty coverage in British Columbia. New home buyers have the security of knowing that Clarkston meets Travelers' stringent home builders requirements for best practice home construction and after sales service for its 2/5/10 Year New Homes Warranty Coverage. Our company owner, Paul, is also as a member of the Victoria Home Builders' Association and provides full coverage for all employees with WCB insurance. For more information from the Home Owners' Protection Office about the New Home Warranty, the Residential Construction Performance Guide is available as a PDF file. Clarkston Construction also carries $5,000,000.00 liability Insurance, they are fully licensed with Workers Compensation Board of Canada and a member in good standing with the Sooke Chamber of Commerce.